Just 60 Kilometres South of Adelaide you will find the small town of Myponga (Myponga is a Kaurna word meaning high cliffs) population about 540. This is what remains of the jetty that was build in 1860. A jetty was built in 1860 but it’s official opening was marred by tragedy. “The jetty was very crowded and a woman nursing a baby got pushed off onto the rocks. She cushioned the fall of the baby which survived, but unfortunately she was killed. The jetty serviced a healthy shipping trade for 30 years exporting local wattle bark for leather tanning, livestock and wheat. But eventually the ketch trade weaned and a big blow tore the jetty apart in 1900. Now it’s a photographer’s dream. Extract from Postcards &Research thanks to Flinders University Cultural Tourism Degree projects. 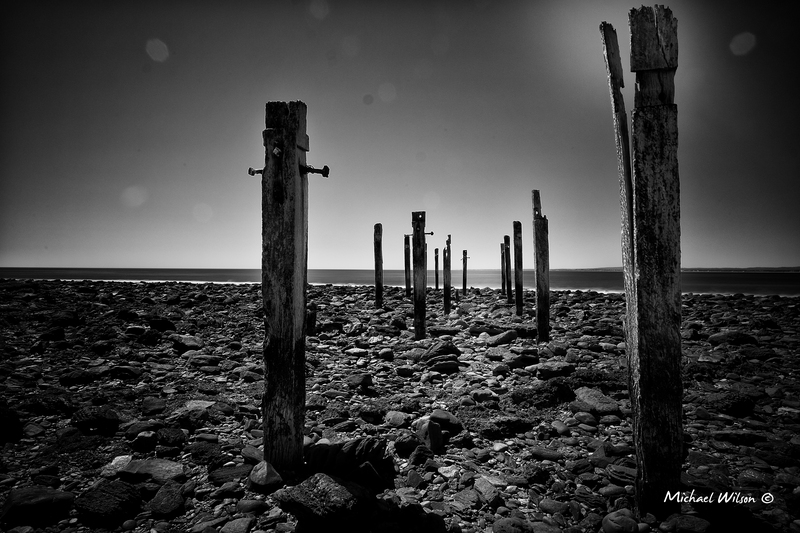 This entry was posted in Photography, Travel and tagged Adelaide, architecture, black & white, digital, Life, Lightroom, Monochrome, myponga, Photography, Silver FX Pro, South Australia. Bookmark the permalink.